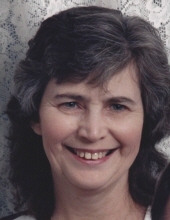 Monica S. Goodreau, age 79, a resident of Shelby Township since 2014 and previously from Spencerport, New York, passed away on Friday, January 25, 2019 at Fraser Villa Nursing Facility. Monica was born February 1, 1939 in Jasper, New York, the daughter of Harley & Golda (Reynolds) Simpson. She was sixth of eight children. Monica married Merle D. Goodreau on September 17, 1960 in Wellsville, New York. Monica earned her Bachelor’s Degree in Nursing from Sonyea State College in New York. Monica was a member of the Faith Baptist Church in North Chili, New York for over 40 years. Monica and Merle are current members of Faith Baptist Church of Warren , MI. Her hobbies include designing/making porcelain dolls, sewing, quilting, making afghans and crocheting. Monica is survived by her husband Merle, children: Dianne (Stephen) Shellhammer of Maryland, Stephen (Janet) Goodreau of Wheaton, IL., and Bruce (Sue) Goodreau of Bruce Township, Michigan. Also survived by 8 grandchildren and was preceded in death by 2 brothers & 5 sisters. To send flowers or a remembrance gift to the family of Monica S. Goodreau, please visit our Tribute Store. "Email Address" would like to share the life celebration of Monica S. Goodreau. Click on the "link" to go to share a favorite memory or leave a condolence message for the family.